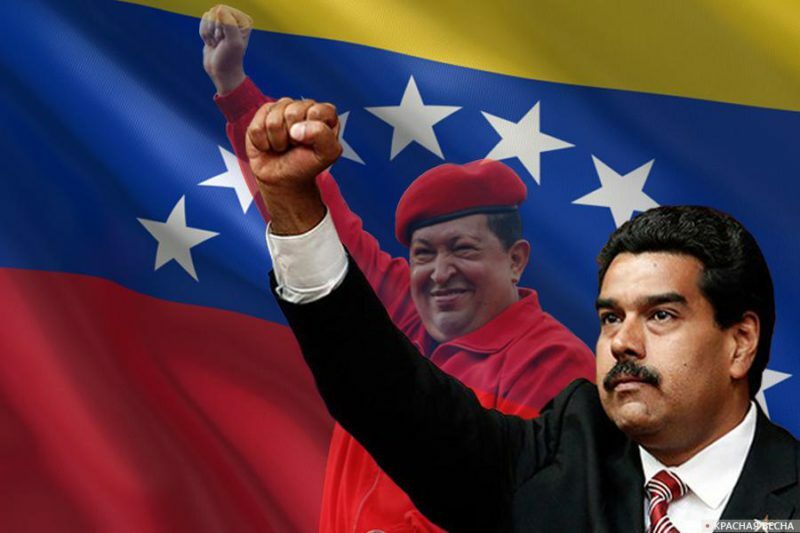 On April 13, while giving a speech to the youth, the Head of the Bolivarian Republic Venezuela Nicolas Maduro warned the Brazilian President Jair Bolsonaro against any possible military intervention into Venezuela; the video is posted on the Maduro’s page in Twitter. Maduro pointed out that the possibility of war that Bolsonaro suggested is a threat against Venezuela. It contradicts the UN Charter as well as the character of the bilateral relations with their 100-year history. Maduro named Bolsonaro “copycat of Hitler” and promised that his statement will have repercussions. Earlier, the Brazilian head of state said during an interview how he would act if a hypothetical military intervention in Venezuela took place. Bolsonaro stressed that he is a champion of sanctions, but not of a military intervention. This entry was posted in News from the West and tagged Bolsonaro, Informational-Psychological War, Maduro, Venezuela. Bookmark the permalink.